Ravi Singh, PhD, develops nanotechnology-based therapeutic agents for cancer diagnosis, treatment and monitoring. His collaborations focus on the clinical application of nanomaterials such as carbon nanotube and silver nanoparticle platforms for targeted drug delivery and therapy, with a specific focus on breast cancer and glioblastoma multiforme. Singh received an undergraduate degree in physics from Harvard University in 1995 and worked for several years at Weill Cornell Medical College and Imperial College London, researching and developing viral-based gene therapy vectors. He completed his doctorate in pharmaceutical science at the University College London School of Pharmacy in 2008, followed by a postdoctoral fellowship in cancer biology at Wake Forest School of Medicine, where he developed nanotechnologies for cancer theranostics. In 2012, Singh joined Wake Forest School of Medicine’s cancer biology department to further focus on engineering nanomaterials for cancer treatment. Singh’s research focuses on therapeutic and diagnostic applications of inorganic engineered nanomaterials for targeted breast and brain tumor treatment. He develops methods for treating cancerous tissues and cancer stem cells using carbon nanotube mediated photothermal therapy and image-guided drug delivery of nanoparticles. Through the use of magnetic resonance imaging and positron emission tomography, he selectively targets and monitors the effects of these therapies on breast, lung, liver and brain metastases. His lab pioneered the use of carbon nanotubes for gene delivery and was the first to show that carbon nanotubes can be effectively excreted in the urine. Through unique expertise in cancer biology, materials science and pharmaceutical science, Singh also develops novel therapeutic silver nanoparticle agents for cancer treatment. He created a method to treat a subset of cancers identifiable by expression of the gene ZEB1 in breast cancer cells and is developing a next generation formulation for treatment of other cancers, including non-small cell lung metastatic cancers. 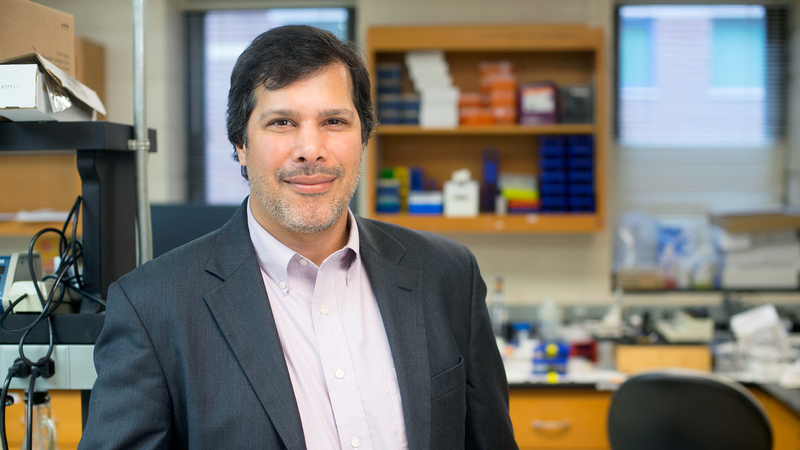 As director of the Cell Engineering Shared Resource at Wake Forest School of Medicine, Singh leads efforts in specialized cell line and viral vector production for cancer research. He also partners with industry on nanomaterials evaluation, characterization and development, cell engineering, and drug delivery. Researchers at Wake Forest Baptist have developed an application of near-infrared radiation stimulated multiwalled carbon nanotubes for brain tumors. Collaborate with experts at Wake Forest Baptist and access our cancer research services, including preclinical cancer models and imaging capabilities. Explore the technologies for license available through the Center for Technology Innovation & Commercialization of Wake Forest Innovations.